Why Don't Some People Pick Up Their Dog's Poop? I live in a duplex in the middle of Los Angeles with a large, green hedge around the small front yard. Recently, I've noticed a strange and stinky new development. Pretty much every morning, when I bring my own dog outside, I find a fresh, steaming pile of a strange dog's poop just inside our hedge. The only explanation I can come up with is that someone is opening our gate to let their dog poop in a spot where people won't notice them not picking up it up. 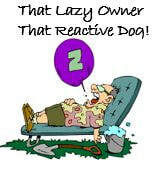 And I wish this behavior surprised me, but any observant dog owner can tell you how common this is. ​But why is it so common? To me, it seems like a society that can't pick up after its pets is doomed to spiral into a rule-free chaos filled with madness and a lot of feces. But for some reason, plenty of dog owners see those rules as worth little more than, well, poo on your shoe. In fact, scientists have studied dog poop to figure out how many people leave it behind, and what makes them do it. A study published in the Journal of Applied Psychology observed people who pick up and leave behind dog poop. The study divided the owners into two groups, those that pick up the poop and those that don't. They found that owners picked up after their dogs slightly more than 60 percent of the time. The study also concluded that those who don't pick up after their dogs also frequently lie about it. Another study took those findings and looked into what kinds of people don't pick up after their dogs. Proud to pick up – happy to be seen carrying dog waste, will pick up in all locations and take it home if no bins are available. It is the right thing to do – will pick up in public places but will seek to dispose of the waste as soon as it is practical. I have done my job... if there is no bin available will leave the bagged waste to be dealt with by others. Only if I have to – will only pick up in the presence of other people – likely to discard when no one is looking. Disengaged – will not pick up in any situation even if they are aware of the environmental consequences of their actions. So clearly social pressure makes up a major influence on whether people pick up the doo-doo or not. And we get that. Nobody wants to be seen as the person who leaves dog poop in our public parks. Pressure from what people might think drives tons of our social interactions. In fact, social pressure is how we come up with most of the norms that govern our day-to-day. According to psychologist Dr. Caroline Zink for Scientific American, "People are incredibly social beings, and we rely heavily on our interactions with others to thrive, and even survive, in the world. To avoid chaos in these interactions, humans create social norms." And one of those "norms" has become that we have to pick up after our dogs. Most of us follow social norms because we worry about punishment on the other end of things. For example, people worry they might be judged or fined for leaving behind poop. However, Dr. Zink explained, "when the threat of punishment is removed, people tend to disregard social norms. The neat and orderly line disintegrates." Which makes sense, because the studies found more abandoned dog poop on the less-populated paths. So a lack of social pressure is definitely one excuse, but there's another big one. And it helps the "disengaged" group justify not picking up after their dogs. 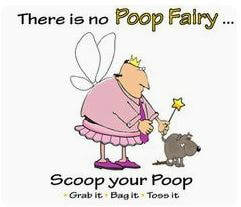 Some people think dog poop is "natural" and doesn't need to be picked up. While that seems like little more than a convenient excuse to avoid an icky part of dog ownership, it's possible to see where they could get that idea. People even mistake dog poop for fertilizer, thinking it helps grass and plants grow. But what many dog owners don't realize is that dog poop is toxic. Dog poop contains parasites that can infect humans, and poop can get into our water system and cause contamination. Basically, no matter what the reason, the poop must be scooped. If you fall into the group that tries to use psychology to get yourself out of picking up after your dog, know that you're not just breaking some arbitrary "rules," and it's not meant to be left there because poop is "natural." Living with and loving our dogs includes a little poopy dirty work, and that's just what we signed up for. So for the people letting their dogs poop just inside my hedge and all the rest of you, just plug your nose and go for it. Society thanks you. Labels such as these provide a shorthand form of communication, and people often use them with the assumption that others understand exactly what they mean. It is specifically useful in conditions that do not respond well to orthodox medication, or in cases where there is much side effects to orthodox medication, thus reducing, minimizing or avoiding side effects all together.